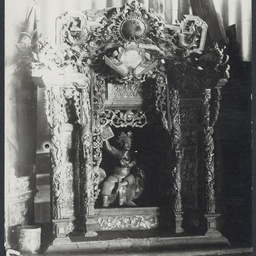 Altar at Chinese temple at Ironbark, Bendigo, courtesy of Chinese Museum (Museum of Chinese Australian History). 'Ceremonies at the Chinese Josshouse, Emerald-Hill', 1875, courtesy of Chinese Museum (Museum of Chinese Australian History). 'Chinese mortuary chapel, Joss House, Emerald Hill', 7 July 1875, courtesy of Chinese Museum (Museum of Chinese Australian History). 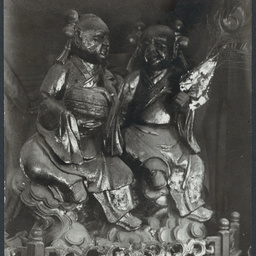 Chinese temple at Ironbark (near Bendigo), courtesy of Chinese Museum (Museum of Chinese Australian History). Atherton Joss House, c. 1903 - c. 1910, courtesy of Chinese Museum (Museum of Chinese Australian History). Chinese festival, Darwin, 1922, courtesy of State Library of South Australia. 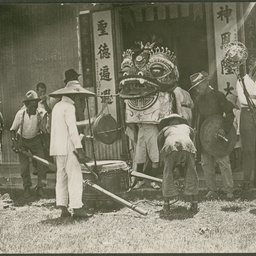 Chinese procession., 1920s, courtesy of Northern Territory Library. 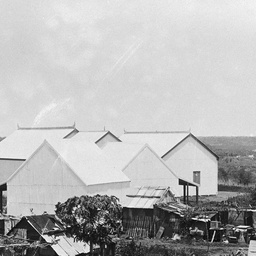 Chinese Joss House in Atherton, Queensland, courtesy of State Library of Queensland - John Oxley. 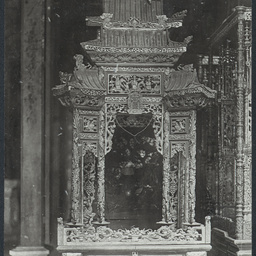 Altar in the Chinese Temple, 1915 - 1930, courtesy of Northern Territory Library. Destruction of Chinese Mission Hall in Townsville caused by Cyclone 'Leonta', 1903, courtesy of State Library of Queensland - John Oxley. Chinese temple, Innisfail, early 1900s?